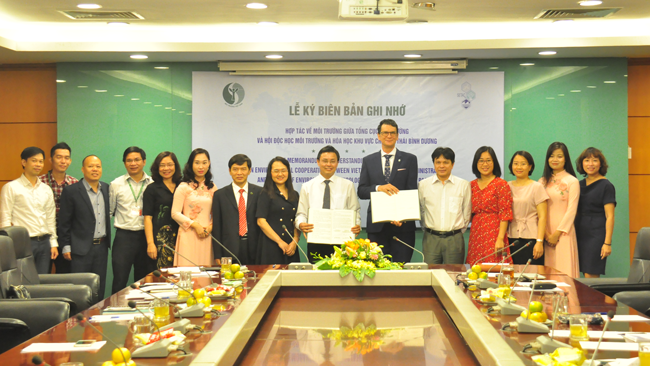 The Vietnamese Environment Authority and SETAC Asia-Pacific signed a Memorandum of Understanding (MOU) agreement on 9 April 2019 in Hanoi, Vietnam. The MOU formalizes collaborative efforts between the two organizations, who have immediate plans to run training and workplan scoping workshops on plastic waste and environmental risk assessment and management. Future initiatives between the authority and SAP include three more such workshops in 2020, the development of more detailed training, and endeavors to scope some bodies of work that are likely to result in project opportunities for SETAC members.